Neca, the popular custom toy company, is comming out with a brand new Portal gun design. 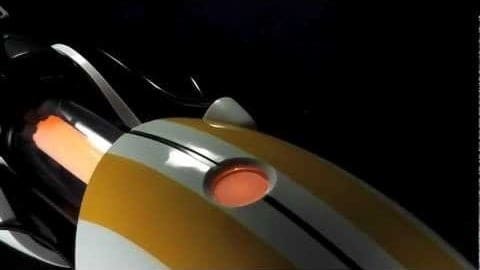 During co-op in Portal 2 it can be observed that P-body is using a different model of the Portal gun. The striped version of the gun will now be available for a limited time in a limited quantity. The lighting scheme on this gun is a bit different, as you can see glowing a light red and orange color. Neca has said there will be 5000 of this model built, so if you missed your chance to get one the first time nows your chance. Neca does not sell to the public and so retailers of the new custom toy are to be announced next week, stay tuned!